Deep Root Fertilizing (DRF) is a simple and affordable way to significantly increase the vigour in a tree or shrub. Urban soils lack nutrients that are naturally found in a forest floor or rural setting, as we often clean our yards rigorously of leaves and fallen limbs that would naturally feed the soil. We can add these missing nutrients back to your soil through our deep root fertilizer. DRF injects a high-quality synthetic nutrient solution into the root zone of trees. The fertilizer is injected under pressure, which helps aerate the soil and get the fertilizer below grade to the tree’s feeder roots, below grass and gardens. • Replenish sterile urban soils that don’t benefit from nutrient recycling from fallen leaves and twigs, etc. Autumn marks the transition from summer into winter, and is the perfect time to ensure your trees are ready for the upcoming winter season. 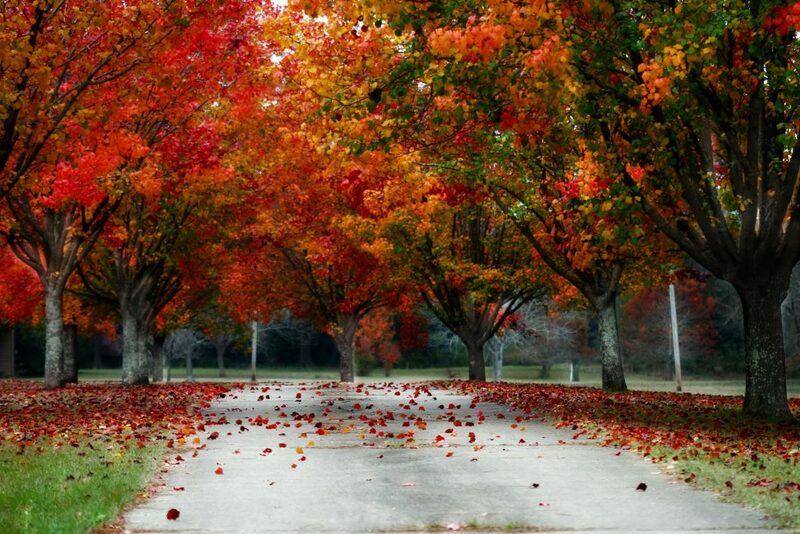 Our fall tree care recommendations will ensure your property is healthy, invigorated and ready to enjoy next year. 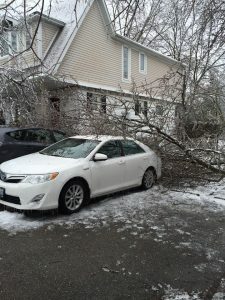 Reduce the risk of expensive storm damage this winter by requesting a free autumn property assessment from our friendly and knowledgeable arborists! Stimulate roots and be ready for fall nutrient uptake and release in spring as microbial activity in the soil begins. When combined with proper soil amendment using mulch and top-dressing techniques, deep root fertilizing helps ensure good overall plant health. Remove dead or dying trees on your property and prune or trim tree branches that could fail in strong winter winds and cause extensive damage. Help support a structural weakness or branch unions that can often lead to potential hazards, especially in stormy weather. Cables help support structural weaknesses called “included bark”. Reduce populations of overwintering insects, i.e. scales and mites in an environmentally-safe way! At Sequoia TreeScape, we’re happy to provide free, no-obligation and competitive quotes for all our fall and winter services. Call 416-770-8733 or fill out our online contact form today to request a quote from one of our certified arborists.